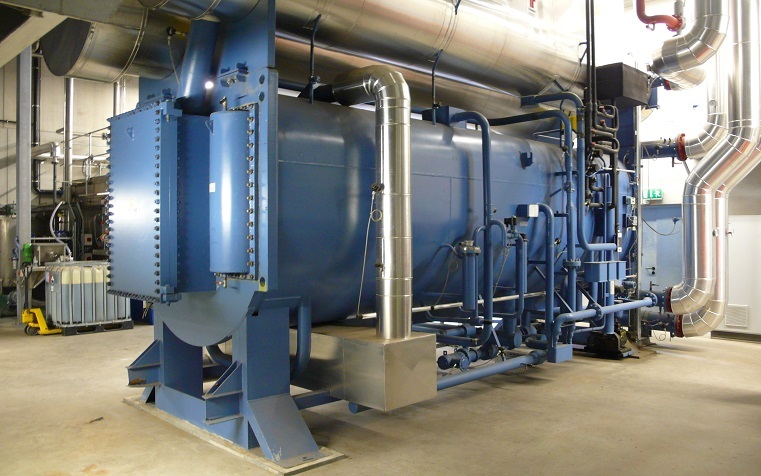 Heating & Boiler Systems | Efficient Sonics Ltd. The Efficient Sonics Smart Heating product range offer a clean and eco-friendly alternative to eradicating lime-scale in Industrial Heating Systems and Boilers. In addition, the presence of bio-film is also eliminated which reduces the possible growth of harmful bacteria such as Legionella and E-Coli. All of our products contain the sophisticated and unique Smart Tune Technology to ensure peak performance, and for further peace of mind, a Portable Ultrasonic Meter is available to check that your Smart Heating is installed correctly and operating at its best. The Smart Heating 500 S 1 is suitable for controlling lime-scale in boilers and heating systems of up to 500 litres capacity. It has one output of 20 Watts and a single small sized transducer. The Smart Heating 500 S 2 is suitable for controlling lime-scale in boilers and heating systems of up to 750 litres capacity. It has two outputs of 20 Watts and two small sized transducers which can be used independently to target different sections of the heating system. The Smart Heating 1000 L 1 is suitable for controlling lime-scale in boilers and heating systems of up to 1000 litres capacity. It has one output of 25 Watts and a single large sized transducer. The Smart Heating 1000 L 2 is suitable for controlling lime-scale in boilers and heating systems of up to 1500 litres capacity. It has two outputs of 25 Watts and two large sized transducers which can be used independently to target different sections of the heating system. The Smart Heating 2000 L 1 is suitable for controlling lime-scale in boilers and heating systems of up to 2000 litres capacity. It has one output of 30 Watts and a single large sized transducer. The Smart Heating 2000 L 2 is suitable for controlling lime-scale in boilers and heating systems of up to 3000 litres capacity. It has two outputs of 30 Watts and two large sized transducers which can be used independently to target different sections of the heating system. The Smart Heating 5000 L 1 is suitable for controlling lime-scale in boilers and heating systems of up to 5000 litres capacity. It has one output of 40 Watts and a single large sized transducer. The Smart Heating 5000 L 2 is suitable for controlling lime-scale in boilers and heating systems of up to 7000 litres capacity. It has two outputs of 40 Watts and two large sized transducers which can be used independently to target different sections of the heating system. The Smart Heating 10000 L 1 is suitable for controlling lime-scale in boilers and heating systems of up to 10000 litres capacity. It has one output of 50 Watts and a single large sized transducer. The Smart Heating 10000 L 2 is suitable for controlling lime-scale in boilers and heating systems of up to 12000 litres capacity. It has two outputs of 50 Watts and two large sized transducers which can be used independently to target different sections of the heating system.